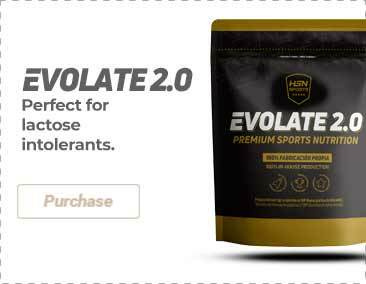 100% Pure Instant Leucine. Vegetable origin and obtained by fermentation. GMO free. Perfect for high intensity routines. Provides 3g of d-aspartic acid per daily dose. RAW product, made of D-Aspartic Acid calcium chelate. Provides 2g of AAKg per daily dose. RAW product, 100% pure Arginine Alpha-ketoglutarate. It improves the nitric oxide synthesis. It is involved in the release of the Growth Hormone. New 500g format! Taurine powder. It provides 1g of Taurine per serving. RAW product without additives. Arginine AAKG in vegetable capsules. It provides 3g of Arginine per daily dose. It provides 500mg of L-Ornithine Monohydrochloride per vegetable capsule. Suitable for vegan diets. 2g of l-arginine per daily dose. Arginine of vegetable origin. It provides 500mg of Tryptophan per vegetable capsules. With Vitamin B6 and Vitamin B3. 500mg of Taurine per vegetable capsule. Taurine free form. L-Carnosine in vegetable capsules. It provides 500mg per daily dose. In-house production! L-glycine by HSNraw suitable for vegans. 5000mg per dose. Arginine alpha-ketoglutarate. It provides 3.5g of AAKG per daily dose. L-Arginine and L-Ornithine. It provides 1000mg of L-arginine and 500mg of L-Ornithine per serving. Arginine, one of the most important amino acids. I'm on a cutting diet and I've been using this product to protect my muscle mass. Great quality/price too. I combine it with branched chain amino acids to get an excellent recovery. Their effects are quite remarkable, I recover faster, which allows me to train even twice a day sometimes. The powder also dissolves very nicely but I don't know if the flavour is good or not cause I usually mix it with a juice. I like combining this product with a very light dinner and I fall asleep a little bit later. Since I started using it I no longer wake up in the middle of the night, I sleep all the way through until the alarm rings! Excellent product if you want to enhance the protein synthesis and improve the recovery. The flavour will go unnoticed if you combine it with another flavoured supplement. I usually add it to my post-workout shake. I usually add it to my post-workout shake. After using it for some time now I feel like I recover better from my workouts, although I don't train at a very high intensity. In this category, you will find the widest range of isolated amino acids available in the market. This is a great choice for those who want to measure the amount of every amino acid to create your own combination, it is up to you. Here, you will find arginine, leucine, glutamine, methionine, tyrosine, lutein, etc. Where can I buy isolated amino acids? Find out the widest isolated amino acid range of the highest quality at HSN. Products ready for immediate dispatch.